Heilbronn, May 2018: The practical wireless monitoring software Wavetool now also supports the TG 1000 system from beyerdynamic, making it even more convenient to operate and monitor this high-end wireless system from Heilbronn. It combines with the TG Wireless Manager to create a complete solution that connects the system’s high sound quality with the flexibility of the software. Making the TG 1000 system even more powerful. 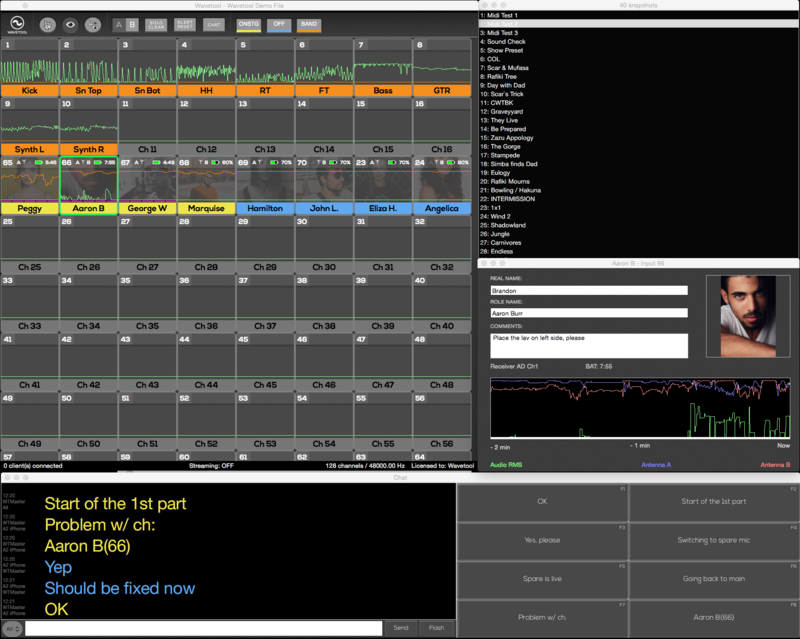 The software Wavetool enables monitoring of different channels in a wireless setup. Basic information such as RF level and audio level are displayed visually, while the software also provides a low battery warning so you can take appropriate action in good time. One special feature of Wavetool is the ability to play any channel as an audio stream. With a simple click you can listen to the audio signal of a specific radio channel. Combined with warning functions for drop-outs, overloading and the “snap, crackle & pop” algorithm, which automatically detects noise interference, Wavetool provides a complete, incredibly clear tool for monitoring all radio links in a show, even in larger systems. Another Wavetool feature is the combination of desktop software and an iOS app that enables use of all monitoring functions on a mobile device. This means you don’t have to be at a fixed workstation to monitor the audio level, signal strength and sound for all your radio links – you can also get an overview with your iPhone or iPad from anywhere in the venue. Even audio streaming is mirrored in the app. These options make keeping a general overview simpler, but they are particularly useful when looking for an error source because the engineer is able to move around the venue with his or her monitoring system. Wavetool is compatible with TG 1000 and combines with beyerdynamic’s own software to provide a particularly comprehensive software package. The TG Wireless Manager enables monitoring and controlling of wireless systems such as TG 1000. It also simplifies the formation of complex systems by calculating intermodulation-free setups and checking stage conditions using test options for the RF spectrum and working range. The TG Wireless Manager can also configure multi-channel beyerdynamic setups offline, making setting up a show in advance effortless. Working with Wavetool, the technician will have everything at hand and can easily maintain a good overview. The symbiosis of TG Wireless Manager and Wavetool perfects beyerdynamic’s TG 1000 system, impressing professionals the world over thanks to its versatility, reliability and excellent sound. With a switching bandwidth of 319 MHz, the 24-bit digital wireless system provides coverage for an extraordinarily large range of the UHF spectrum and is thus absolutely future-proof and can be used the world over. 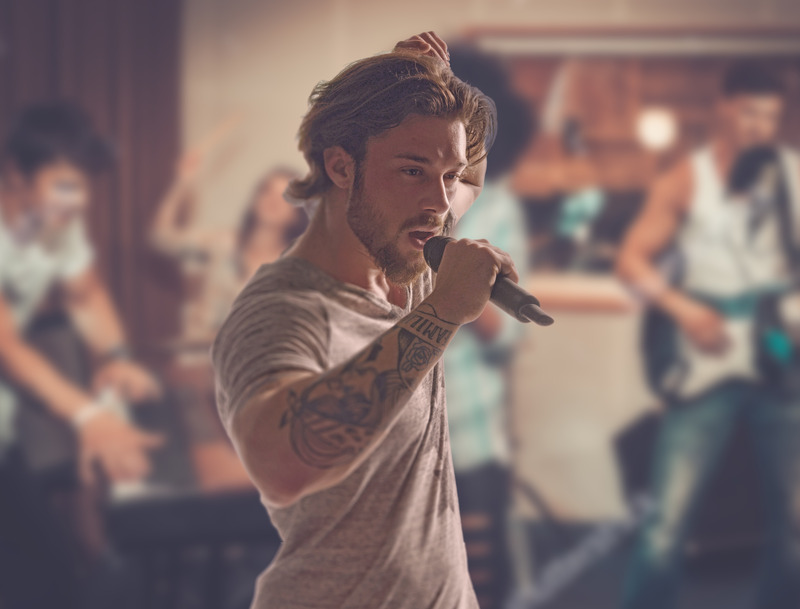 Compatibility with the Dante™ audio network standard and a large selection of interchangeable microphone capsules for handheld transmitter, from ribbon through to measurement microphone, make beyerdynamic TG 1000 the number one choice for live technicians worldwide. beyerdynamic is exhibiting at InfoComm 2018 in Las Vegas from 6 to 8 June. Alongside other products, beyerdynamic will also be exhibiting the TG 1000 system and its Wavetool integration at Booth C1628.